From more than 8,000 medium-sized businesses, Yourfirm.de, Germany’s leading job forum, has selected 1,000 “top employers in medium-sized businesses for 2018” and one of them is Bender GmbH & Co. KG. More than one million job seekers use Yourfirm.de every month in search of jobs in the medium-sized sector because only medium-sized employers can advertise jobs and provide company profiles. 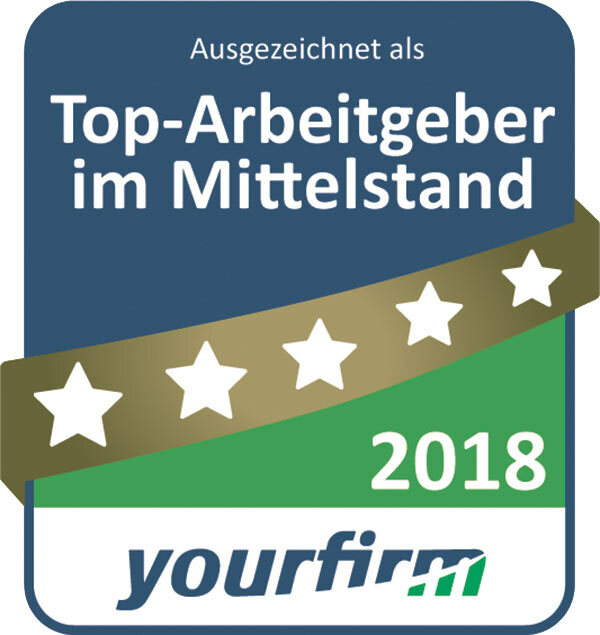 In addition to providing job market services, Yourfirm.de also awards the “Top employer in the medium-sized business” every year to 1,000 companies based on the number of hits they receive and the reading habits of job seekers. The company thus offers applicants even better guidance in their search for interesting medium-sized businesses.